One of my clients sent me a pack full of pastries; shortcrust ready rolled, puff cases, filo sheets, … asking me to give him my feedback about the quality of the product. So I spent the week, eating tarts, quiches and samosas! Not that I’m complaining. I guess you should know by now that my love for baking is unconditional. I wanted to break away from routine ingredients so I started with a pesto rosso spread, topped it with some blue cheese, slices of brie, sprigs of thyme, and dried figs. The outcome was a hit through! I served it for some friends visiting in the evening and as soon as I saw their heads nodding I knew I had the green light to share the recipe with you all. Roll out dough on floured surface. Transfer to pie dish. Trim and flute the sides. Pierce crust all over with fork. Start by spreading the pesto on the crust. Distribute the blue cheese and decorate crust with slices of brie in a fan shape. Beat eggs well. Add milk, pepper and salt. Pour over the filling and place pie dish on the middle oven rack. After 20mn, drizzle with maple syrup and place it back in the oven for another 10 to 15mn. Transfer tart to rack; cool 5 minutes. 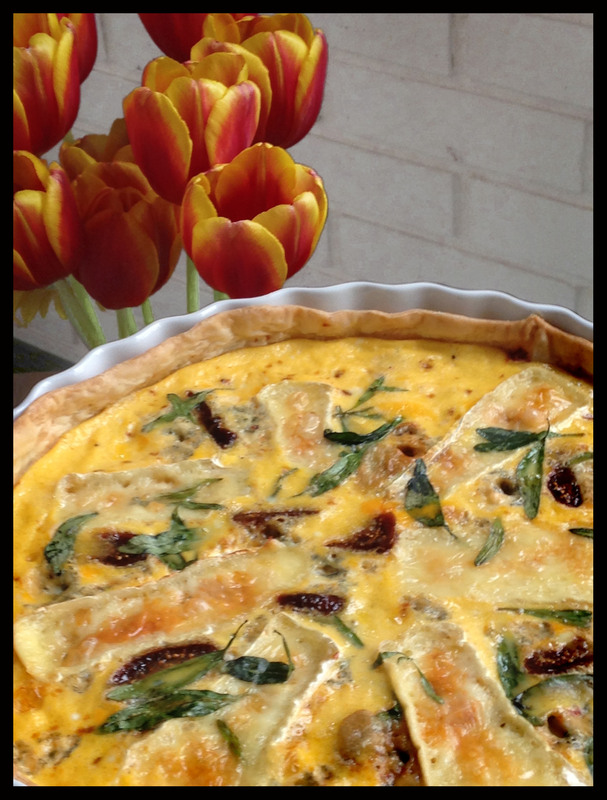 This entry was posted in Main Course, Recipes and tagged dinner, Figs and Brie Cheese Quiche, Food Styling, lebanese food blogger, Maple, Maya Oryan, Mayas Ingredients, Menu, Pastry, Quiche, Shortcrust, Side DIshes, tart by Maya Oryan. Bookmark the permalink. I love the contrast sweet-salty in this quiche too. Thank you! I thought I’d thrown just about everything into quiches, but never fruit!!! Fabulous!!! And your daughter is adorable! Thank you:) You will love the combination. Love the picture of your daughter. 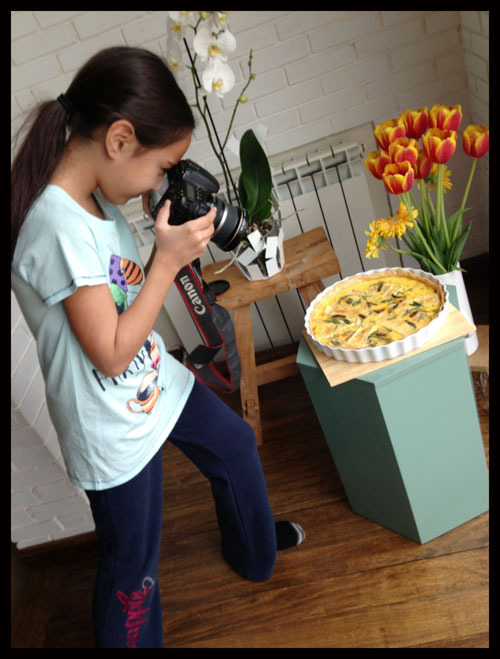 She IS talented:-) The Quiche looks amazing too.